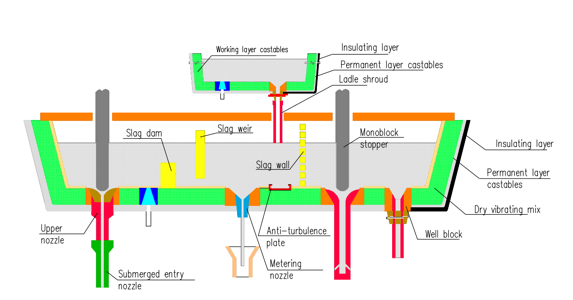 Flow control products are critical to safety, production and quality considerations of the steel plant. 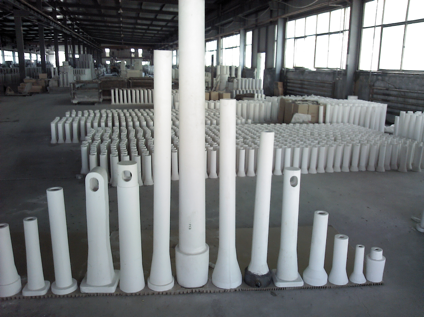 DEC has rich experiences in designing , formulating, producing and supplying high-performance alumina-graphite and fused silica products. 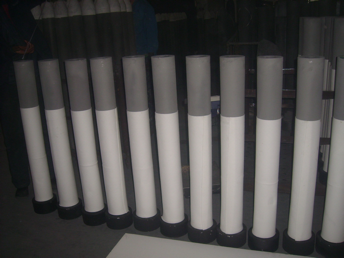 ISO-statically pressed carbon bonded alumina-graphite stopper rods with enhanced composition wear bands. The argon purging for cleanliness requirements is available based on customers’ request. Different head compositions are available to ensure throttling control and clean shut-off at the end of the casting sequence. 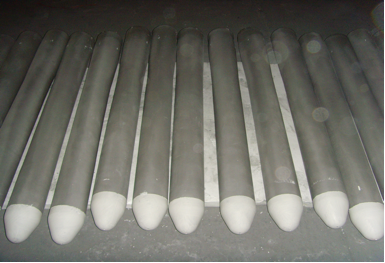 ISO-statically pressed carbon bonded alumina-graphite ladle shrouds with enhanced composition wear bands. The argon purging for cleanliness requirements is available based on customers’ request. Preheat is not required as the shrouds are free of thermal shock characteristics.